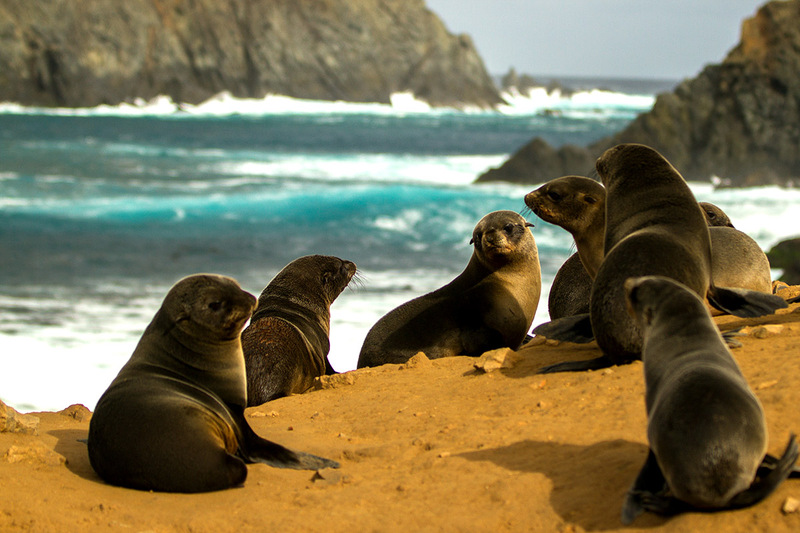 Chile has become the global leader in ocean conservation. The South American country started with Rapa Nui National Park, around Easter Island, in 1935. It expanded to eight marine parks, six coastal marine areas, and an impressive 42 percent of its waters. Nazca-Desventuradas Marine Park was recently added to this list. When Nazca-Desventuradas Marine Park was designated in 2016, it became the largest marine reserve in the Americas. All of the Americas. The park covers 115,000 square miles. It surrounds the remote Desventuradas Islands, which lie 530 miles off the coast of Chile. While it protects fragile coral, huge schools of fish, giant lobsters, and Juan Fernández fur seals. The latter, one of the smallest types of fur seals, was once thought to be extinct from overhunting. The uninhabited Desventuradas Islands were first sighted by Juan Fernández, a Spanish navigator who extensively explored the west coast of South America, in 1574. Small-scale lobster fishermen, enticed by 15-pound lobsters, arrived at the beginning of the 20th century. But the islands remained quiet and pristine. The only real commotion occurred during the Falklands War. In 1982, the United Kingdom used the islands for marine reconnaissance missions to gather information about the Argentine Navy. The Chilean Navy continues to maintain a small garrison on San Félix to this day. There are four Desventuradas (Unfortunate) Islands. San Ambrosio. San Félix. Islote González. Roca Catedral. The islands are small. San Ambrosio, the largest, covers just over one square mile. They’re rocky with only low-lying shrubs, ferns, and herbs. They have no fresh-water source. Plus it takes at least a two-day boat ride to reach them. This isolation is why the islands are now surrounded by some of the most pristine waters in the eastern Pacific. Deep-sea sharks patrol the Humboldt Current, which runs in between the islands and the mainland. Jellyfish dance among the waves. Southern yellowtail amberjacks hunt in kelp forests. Long-spined sea urchins feed off volcanic rocks. While those Juan Fernández fur seals play on one of their only homes in the world. These islands seem the opposite of unfortunate.